Maintain your financial independence with comprehensive wealth management that preserves your convictions and protects your wealth. At The Life Financial Group, we understand that everybody wants financial independence, but navigating through your financial and legal matters may feel overwhelming. However, with the help of an experienced wealth manager, you too can be on the path to protecting your wealth, planning for the future, and keeping your financial independence while honoring your Biblical convictions. 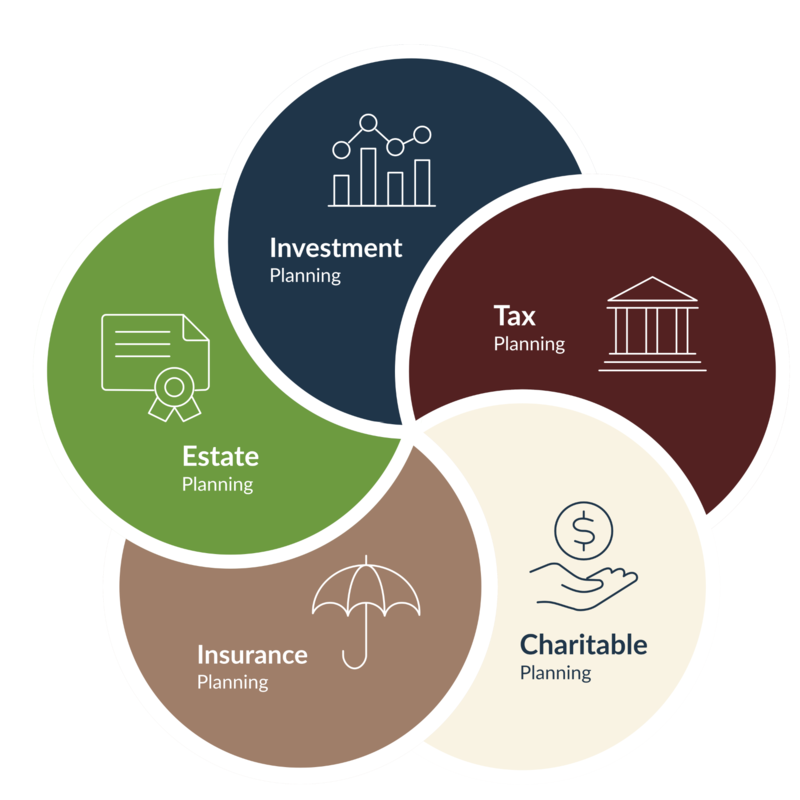 As part of our complete Wealth Management approach, clients are able to see and understand how investment planning, estate planning, tax planning, insurance planning, and charitable planning are all part of a larger picture. By working with a client’s attorney, accountant, and family, we are able to help individuals and families craft a holistic plan that addresses each client’s short-term and long-term goals. Whether you are concerned about planning for retirement income, leaving wealth to the next generation, reducing tax liabilities, protecting your loved ones from life’s unexpected turns, or strategically giving back through charitable planning, The Life Financial Group is able to help you address your concerns while adequately planning for the future. A comprehensive financial approach to help you protect your wealth, plan for the future, and keep your financial independence…. Wealth management is more than just investing, and at The Life Financial Group, we offer a complete approach to wealth management. This includes investment planning, estate planning, tax planning, insurance planning, and charitable planning. We recognize that each part, whether it be investment planning or tax planning, directly affects the others components of your financial situation. Therefore, we are passionate about helping individuals and families understand the importance of a holistic approach and we review each client’s tax return and estate documents to create a personalized goals-based financial plan that addresses our client’s needs and concerns. At The Life Financial Group, we are passionate about helping individuals maintain their financial independence with comprehensive wealth management. Please complete the following form and a financial professional will contact you to schedule your meeting.